A bipartisan supermajority in the Senate passed the Combating BDS Act on Tuesday. Yet a few of my colleagues recently echoed false claims made by anti-Israel activists and others that the bill violates Americans' First Amendment rights. In a high-profile case in 2014, the BDS movement drove the Israeli company SodaStream from the West Bank. Five hundred Palestinian employees were left jobless by the move. The Combating BDS Act does not prohibit Americans' right to engage in boycotts. It focuses on business entities - not individuals - and, consistent with the Supreme Court, it focuses on conduct, not speech. 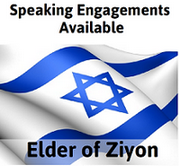 It does not restrict citizens or associations of citizens from engaging in political speech, including against Israel. Rather, the bill merely clarifies that entities - such as corporations or companies - have no fundamental right to government contracts and government investment. "Anti-discrimination restrictions on government contractors are commonplace and a normal requirement for government funding," Eugene Kontorovich, a law professor at George Mason University, notes. The prime minister's decision to cancel the mandate of the Temporary International Presence in Hebron was criticized by the foreign ministers of the countries that comprise the force, chief among them Norway. Ironically, these same countries – Norway, Sweden, Italy, Switzerland and Turkey – are the most blatant violators of the Oslo Accords, and as has been documented for years, their representatives in Hebron were the first to violate their mandate by targeting the city's Jewish residents and IDF soldiers. In 1994, at the behest of Yasser Arafat and in coordination with him, the TIPH mandate was created and implemented. With the years, TIPH's stated mission of protecting human rights was exposed as a cover for its political role. Norway, TIPH's chief coordinator and the first country to send observers, is a prime example. In conjunction with Great Britain and the European Union, Norway funds a mechanism for the submission of thousands of anti-Israel petitions, in coordination with the Palestinian Authority, to flood the court system and apply international pressure on Israel. It does this through the Norway Refugee Council, an NGO with an Israeli humanitarian visa that allows it to recruit and train TIPH observers. 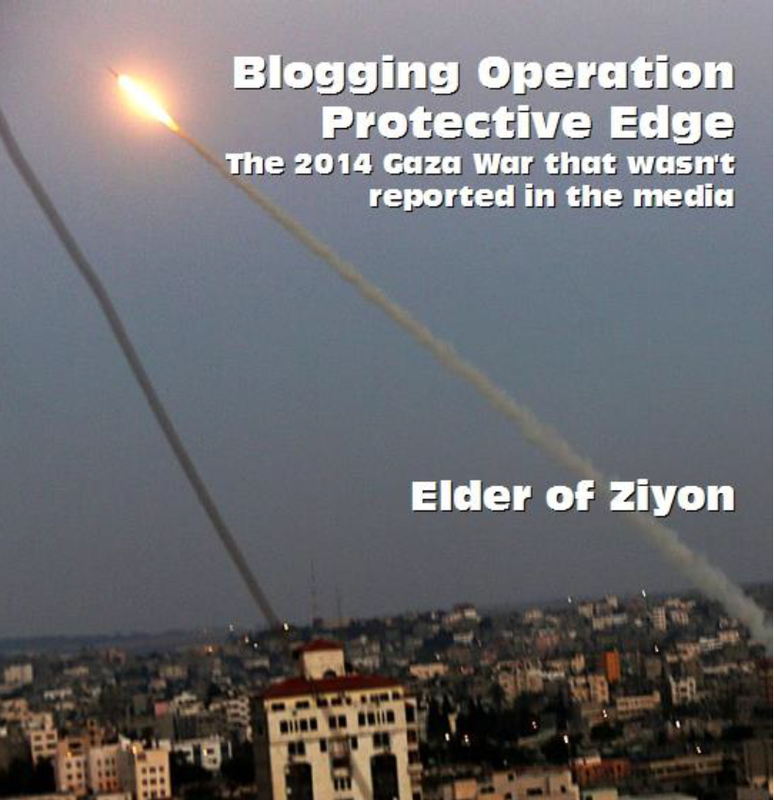 These observers, who serve in a supposedly neutral body, are recruited by a patently anti-Israel organization. Norwegian involvement doesn't end there. TIPH's main partners in Hebron are activists from another NGO, the Ecumenical Accompaniment Program in Palestine and Israel, who enter Israel under the guise of tourists, document IDF soldiers in action and return to their home countries to spearhead anti-Israel campaigns. The primary church group that coordinates EAPPI's activities in Israel and across the globe is none other than Norwegian Church Aid, which is also operated and funded by the Norwegian government. 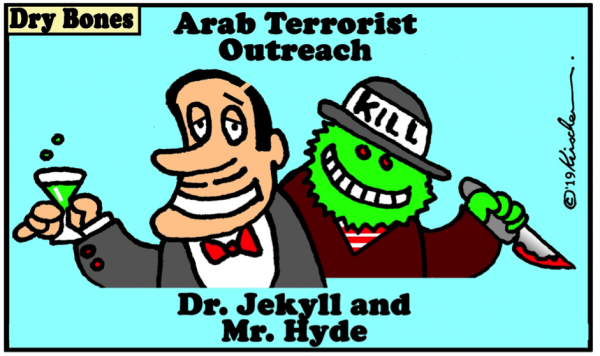 In general, a litany of reports has shown that church-affiliated activists and organizations that are involved in anti-Israel activity are also involved in the TIPH mission and the EAPPI. A senior White House official this week dismissed the concept that the U.S. must be an "honest broker" in the Israeli-Palestinian conflict as "a vestige of talking points from decades ago." "We don't believe that in order for us to work on a peace effort we need to have an equivalency, where we can only say certain things about Israel if at the same time we also say something about the Palestinians. Not only does that not work, we don't think it's right. We say what's on our mind, we speak the truth. The truth may be uncomfortable for some people. But we cannot solve the conflict without being open and honest." The official reiterated that meetings with "ordinary Palestinians" were taking place on a regular basis. "They express deep frustration with their leadership. They believe that their leadership has eroded their standing in the world....They want to engage with us and they want to see what is in the plan. They want a better future, and they know the key to that involves the U.S."
"We believe we can put forth a credible, realistic and fair plan that could bring this conflict to an end; to dramatically improve Palestinian lives, maintain Israel's security and allow Israel to integrate into the region in a way that even two years ago no one would have imagined it could." Israel Resilience Party leader and prime-ministerial hopeful Benny Gantz raised the ire of Israeli right-wingers on Wednesday after his first interview indicated his favorable opinion of the 2005 Gaza Disengagement/Expulsion, in which 8,500 Jews were forcibly removed from Gaza in a unilateral bid to grant Palestinians land for a state. “The disengagement was born of Israel’s diplomatic policy. The parties involved got very high grades for managing to prevent a rift in the nation as they carried it out,” said Gantz, despite the ongoing resentment on the part of right-wingers, and a long and costly rehabilitation of the Jews who were evacuated. In an abridged version of the interview published by Ynet and conducted by famed Israeli singer-songwriter Shlomot Artzi and comedian Hanoch Daum, Gantz added that “we have to take its lessons and implement them in other places,” suggesting that he would implement additional forcible evictions of Jews under his leadership. What a surprise stooping to personal insults instead of the concerns I raised. The UN Human Rights Council (UNHRC) is set to blast Israel in seven separate reports, including one on Gaza border violence, but has not yet published any plans to release a report on the one million Muslims that China is holding in mass internment camps. Seventeen NGOs called on the UNHRC this week to send a fact-finding mission to the Xinjiang region of China to investigate the situation. “The Chinese authorities have detained Uyghurs and other Turkic Muslims – outside of any legal process – in ‘political education’ camps for their perceived disloyalty to the government and Chinese Communist Party,” the non-governmental groups said. “In those camps, they are subjected to forced political indoctrination, renunciation of their faith, mistreatment and, in some cases, torture,” the NGOs stated. Amnesty International and Human Rights Watch were among the 17 NGOs that spoke out in advance of the UNHRC’s 40th session, which is set to take place in Geneva from February 25 to March 22. The UNHRC has already published a list of at least 79 reports that will be dealt with at the meeting, including those on human rights situations in other countries such as Malaysia, Tunisia, Saudi Arabia and Sri Lanka. There are also two reports each on Iran and Syria. No other country has as many reports against it as does Israel. Trump: "We Must Never Ignore the Vile Poison of Anti-Semitism"
President Donald Trump on Tuesday recognized a survivor of the Holocaust and the Pittsburgh synagogue shooting, which was followed by members of Congress singing him "happy birthday." Trump delivered the State of the Union address in the House Chamber, where he discussed several issues, including immigration and national security. He also recognized several guests during the address, including Judah Samet. "He arrived at the synagogue as the massacre began, but not only did Judah escape death last fall, more than seven decades ago he narrowly survived the Nazi concentration camps. Today is Judah's 81st birthday," said Trump, which prompted members of Congress on both sides of the aisle to give him a standing ovation and clap for him. Several members of Congress then started singing "Happy birthday," to him, which resulted in Samet yelling, "thank you!" afterwards. "They wouldn't do that for me, Judah," Trump joked shortly after they finished their singing. Samet was four minutes late for worship one Saturday back in October, resulting in him narrowly missing one of the worst massacres of American Jews, according to the Washington Post. He told the Tribune-Review that he was "very honored" to be invited by Trump to the State of the Union. "[Trump] invited me, I was told, because I represented two of the biggest tragedies for the Jewish people in the last hundred years," Samet said. Iran’s foreign minister pushed back Wednesday after US President Donald Trump said his country does “bad, bad things” and appeared to link it to the deadly attack on a Pittsburgh synagogue last year by an American anti-Semite. In his State of the Union address, Trump contextualized his Iran policy by castigating the regime for its anti-Semitism. The need to take a strong stance against Tehran, the president implied, was evident in the attack at Pittsburgh’s Tree of Life Synagogue, in which 11 were killed — believed to be deadliest act of anti-Semitic violence in American history. The Civil Administration and High Court of Justice could be liable for war crimes for their policies that led to the dispossession of Palestinians from their properties in Area C of the West Bank, the left-wing group B’Tselem charged in a report issued on Wednesday. The court’s support of Israeli planning policy is tantamount to support for “forcible transfer,” a war crime under international law, the report stated. “Therefore, the justices of the Supreme Court – along with the prime minister, senior ministers, the chief of staff and other senior military officers – bear personal liability for the commission of such crimes,” B’Tselem said. The report comes at a time when Prime Minister Benjamin Netanyahu is under pressure to raze the illegal West Bank Bedouin encampment of Khan al-Ahmar. Netanyahu has pledged to take down the encampment, but has taken no steps to do so since receiving a warning from the prosecutor of the International Criminal Court that such a step could be considered a war crime. The B’Tselem report looked at a series of steps Israel has taken on both the planning and the judicial levels with regard to Palestinian property rights – steps that allegedly were designed to expropriate Palestinian property. This included reclassifying territory in the West Bank as state land. B’Tselem said this was done in many cases without due process and without allowing the Palestinians involved to file legal objections. Vandalism and theft continue to plague Israeli farmers: Two weeks ago, beekeeper Yinon Arkin discovered that 20 of his hives had been destroyed three months before the honey was collected. The damage is estimated at tens of thousands of shekels. Arkin, 34, who lives in the settlement Avigayil in the South Hebron Hills, owns hundreds of hives set up at various locations throughout southern Israel. While this latest attack was not the first time his beehives have been vandalized, it was the first time damage the damage has been so severe. When Arkin arrived at the hives he maintains at Beit Guvrin, he was shocked to find the honeycomb hacked up, the hives scattered, and hundreds of thousands of dead bees. Arkin's wife, Achinoam, says that a month ago, the couple had five beehives stolen from another location. "And two years ago, 10 hives were stolen. Two years ago, 70 hives were stolen from a friend of Yinon's in exactly the same area," she says. What made the latest theft different, Achinoam explains, was the violence with which the hives were broken. "They hacked up all the honeycomb and threw the frames away across a large area. Just collecting it all took time. There are millions of dead bees left behind." The hives were located not far from Israel's security barrier and a crossing that leads to the Palestinian village Tarqumiyah. Arkin thinks that the hives were stolen by Palestinians. Over the past few months, Israeli security forces have noted the growing influence of Islamic Jihad on Hamas. Seeking to avoid problems with Iran, the Hamas leadership feels it has little choice but to follow Islamic Jihad's dictates when dealing with Israel and Egypt. This was exacerbated following the appointment of Ziyad al-Nakhalah as secretary-general of Islamic Jihad in September 2018. Nakhalah replaces Abdullah Ramadan Shalah, who has been in a coma ever since he suffered a stroke in April 2018. Nakhalah was his deputy. 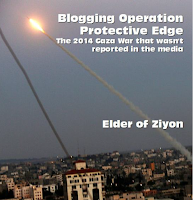 Islamic Jihad and Hamas fully cooperated operationally during armed conflicts with Israel. 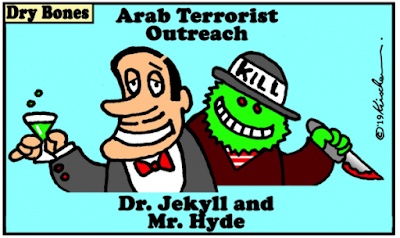 Yet Islamic Jihad competes with Hamas over Palestinian public opinion, particularly on who was more loyal to the idea of a genuine armed jihad against Israel. In the last few months, Islamic Jihad has transformed from an organization that takes its cues from Hamas to an activist group that initiates its own activities. On Jan. 22, an Islamic Jihad sniper in Gaza shot an IDF officer in the head during a riot along the border fence. The US-designated terrorist group Hamas has raised bitcoin donations through the largest US crypto exchange, according to an Israeli blockchain intelligence startup Whitestream. The Israeli financial news site Globes reported on Sunday that Hamas, which controls Gaza, has begun funneling funds through Coinbase. For the first time, a bitcoin address was publicized for Hamas on Thursday through the cloud-based instant-messaging service Telegram. It was discovered by entrepreneurs Itsik Levy and Uri Bornstein, who “succeeded in decoding the bitcoin transfers on the Hamas address and detecting the Palestinian organization’s actions through the digital wallet of US company Coinbase. Whitestream’s findings were forwarded to the security agencies,” reported Globes. On Saturday, the same Telegram channel publicized a second bitcoin address that allowed Hamas to accept donations, though it was through a digital wallet apparently not linked to Coinbase. In addition to Coinbase, the second address has so far received funds from the American trading platform Bittrex. The two bitcoin donation addresses totaled $2,500, according to Levy. Police broke up a riot today at a coffee shop in the de facto Palestinian capital that according to initial reports began when all 15 customers identified themselves as the person whose name the barista had just announced. Eyewitness accounts indicate that at about nine this morning a worker at the city’s only Starbucks Coffee spoke the name “Slim Shady” into the microphone to summon the person who placed the order. An argument then ensued between two men identifying themselves by that name, whereupon the other dozen or so patrons on the premises joined the cacophony, each one claiming to be the owner of the venti soy macchiato. The barista urged the real Slim Shady to stand up, but the admonishment failed to clarify who ordered the coffee. Police arrived ten minutes later and arrested four men; six customers and the barista sought treatment at a local hospital for light injuries. Following its victory in the May 2018 parliamentary election, Hizballah . . . laid out its non-negotiable demands and immediately received Hariri’s acquiescence. Namely, Hizballah wanted to control the lucrative ministry of public health. . . . Then Hizballah proceeded to manage the shares of the other sects and parties. The Lebanese Forces, a Christian party, gained seats in the election but Hizballah marginalized it in the government-formation process. . . . Hizballah thus made sure that the defense ministry went to one of its [Christian] allies, Elias Bou Saab. . . . The government-formation process demonstrated clearly that Hizballah runs the entire political order, underscoring the reality that Lebanon and Hizballah are, in effect, synonymous. U.S. policy should reflect this reality. It should abandon the fiction that by “strengthening state institutions” it somehow weakens Hizballah. Instead, the Trump administration should freeze all assistance to the Lebanese Armed Forces. Moreover, U.S. law requires imposing sanctions on agencies and instrumentalities of foreign states that move money to Hizballah. Lebanon’s ministry of public health now fits this category. The U.S. should thus block international funds to the ministry. While the Lebanese will surely protest that the new minister is not technically a card-carrying member of Hizballah, there is no doubt as to whom he represents. There is similarly little doubt that Hizballah will staff the ministry. Washington must act accordingly. An Israeli satellite imaging company on Tuesday said it had for the first time detected that a suspected Syrian S-300 air defense system appeared on track to become operational, signaling a possible threat to Israel’s air campaign against Iran in the country. However, the ImageSat International firm added that there remained significant questions about the anti-aircraft battery’s condition. Following the downing of a Russian spy plane by Syrian air defenses during an Israeli airstrike in September, Moscow announced it was providing the Syrian military with the advanced S-300 anti-aircraft system. Russia publicly blamed Israel for the loss of the reconnaissance aircraft and its 15 crew members. The charge was rejected by Jerusalem, which also rebuffed a Russian claim that Israeli fighter jets hid behind the Russian reconnaissance aircraft following their attack. Russia has said the S-300 platform it was giving Syria following September’s incident would “cool off hot heads” in the region. 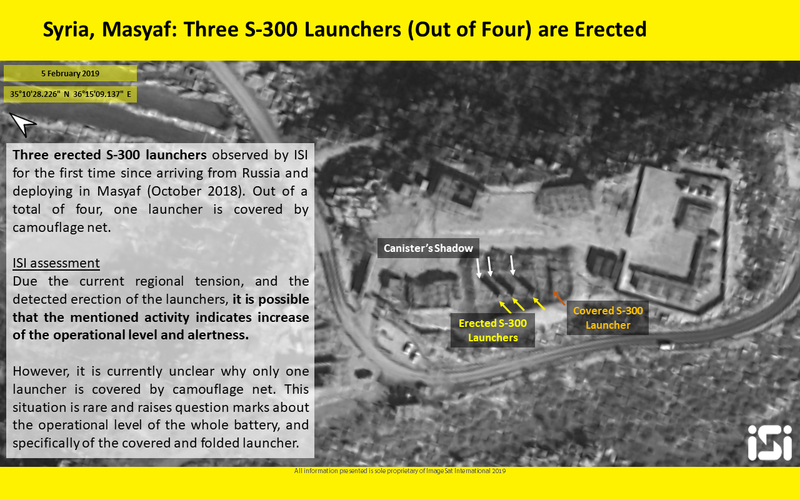 Since the system was delivered in October, Russia has been training Syrian forces to operate the powerful air defense platform, reportedly at a base near Masyaf in northwestern Syria. "European security officials have intercepted communications that suggest an Iranian diplomat was not only involved in an alleged plot last year to bomb a meeting of Tehran opponents outside Paris, but coordinated efforts with colleagues back in Iran, a well-placed western official told The Independent. Mr Asadi, who served as diplomat in the Iranian embassy in Vienna, is currently in detention in Belgium, facing terrorism charges. He allegedly handed powerful plastic explosives to a Belgian-Iranian couple to use against a 30 June gathering of the Mujahedin-e-Khalq organisation, or MEK, a bizarre but influential Iranian political cult dedicated to overthrowing the government in Tehran..."
“We condemn and reject attempts by Macron, who is afflicted by political problems in his own country, to try and save the day by turning historical events into a political matter,” Turkish presidential spokesman Ibrahim Kalin said in a statement after the French leader’s announcement on Tuesday. Macron said Tuesday: “France is, first and foremost, the country that knows how to look history in the face,” during a speech to the Armenian community at a dinner in Paris. Turkey and Armenia have long been at odds over the treatment of Armenians during World War I.
Armenians say up to 1.5 million of their people were killed during the war. But Turkey – the Ottoman Empire’s successor state – denies that the massacres, imprisonment and forced deportation of Armenians from 1915 amounted to a genocide.